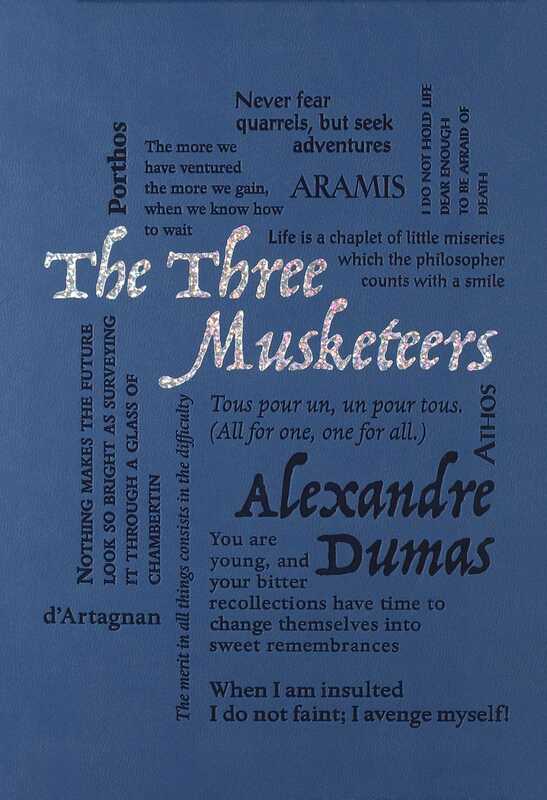 The Three Musketeers, by French writer Alexandre Dumas, was first released in serial form in 1844, a year before Dumas’ publication of The Count of Monte Cristo. The story was an instant success, largely due to Dumas’ transformation of the historical fiction genre. In The Three Musketeers, contrary to popular practice at the time, history acted as a backdrop for the story rather than the primary element, making it a fun and accessible read. The story follows young d’Artagnan and his friends Athos, Porthos, and Aramis as they defend honor amidst the power struggles of 17th century France. Still popular with readers today, this classic is now available in a chic and affordable edition as part of the Word Cloud Classics series from Canterbury Classics. Alexandre Dumas (July 24, 1802 – December 5, 1870) was a French writer, best known for his historical novels of adventure. Many of his novels, including The Count of Monte Cristo, was originally serialized. He also wrote plays and magazine articles and was a prolific correspondent.